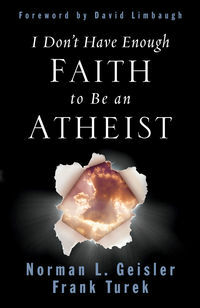 Truthbomb Apologetics has a brand new copy of I Don't Have Enough Faith to be an Atheist by Frank Turek and Norman Geisler to give away. If you are not familiar with the book, it is a great introductory resource to the arguments for God's existence, the validity of the Bible and the historicity of the Jesus' resurrection. It provides a cumulative case argument for the truth of Christianity. The book has been endorsed by such notables as Lee Strobel, Josh McDowell, William Dembski and Phillip E. Johnson. To learn more about the book, go here. We hope you enter! The drawing will be in one week! The winner will be contacted via email. Congrats to Nolan Whitaker for winning the book! I don't watch much television; however, for a brief time I attended a local gym and while running on the treadmill, I found myself fascinated with shows such as CSI and Law and Order. I would sometimes run on the treadmill longer so that I could see how the case played out on the show! I enjoyed the detectives collecting the evidence, considering all the possible explanations and suspects and then deciding who they thought the guilty party was. While you may not get in better shape while reading J. Warner Walllace's Cold-Christianity: A Homocide Detective Investigates the Claims of the Gospels, you will be exercising your mind and you will learn how thinking like a detective can help you evaluate questions such as, "Does God Exist?," "Did Jesus Really Rise from the Dead?," and, "Are the New Testament Documents Reliable? 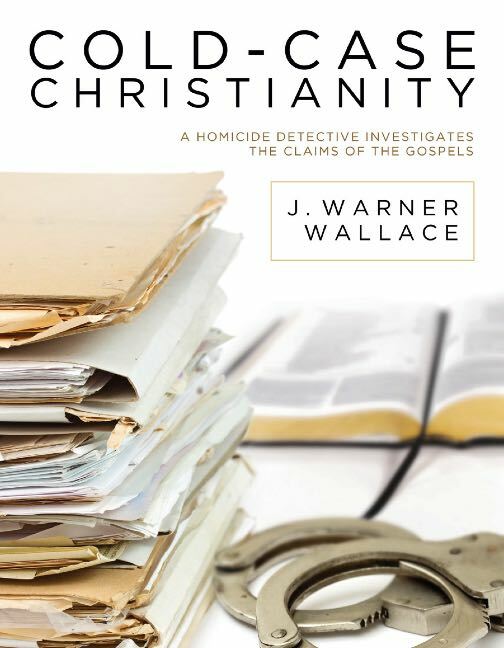 You see, J. Warner Wallace is a former atheist and a cold-case homicide detective who became a Christian largely because of the abundance of evidence he encountered. Furthermore, the manner in which the author examines the evidence is utterly unique because he does so through the eyes of a homicide detective. The same objective, evidence-based approach Wallace uses in his cases, he employs in examining the case for Christianity. The book is broken down into 2 sections. Section 1, "Learn to be a Detective," introduces the reader to ten important principles every aspiring detective needs to master. Section 2, "Examining the Evidence," draws upon these principles of investigation to evaluate the claims of the New Testament (NT). From the very beginning of the book and throughout, Wallace's mastery of illustrations is on display. Using actual stories from cases he has worked [the names changed of course], he uses what he has learned in the field to demonstrate to the reader how to objectively and rationally examine the evidence for God and the NT. The result is a book that many times reads more like a crime novel than an apologetics work. This reviewer was also very impressed with Wallace's ability to explain what could be considered difficult topics to some in very plain language that virtually anyone can understand. As someone who teaches apologetics, I know that many believers are sometimes intimated by the terms used in many of the typical arguments; however, not only does Wallace explain concepts such as abductive reasoning, circumstantial evidence and the nature of truth in easy-to-understand language, he further demonstrates to the reader that they already do this kind of thinking without even realizing it! The brilliance of this is that the reader realizes that they don't have to learn a completely new way of thinking to evaluate the Christian worldview, but just apply what they already know to it's claims. Also, the book features text boxes, pictures and diagrams throughout that only add weight to the author's sound points and illustrations. Finally, the book is very applicable to one's personal witness. As I worked my way through it, I found myself imagining how I could easily apply the concepts learned to sermons and conversation. Also, when I mentioned to people that I was reading a book written by a cold-case homicide detective who was investigating Christianity, there was immediate interest. This reader could not agree more. "When I decided to believe what the gospel writers were telling me, I also decided to become a Christian case maker. The second decision was just as important as the first." Who would Benefit from the Book? It is this reviewer's conviction that both believer and non-believer will benefit from Wallace's work. The believer will find in Wallace an outstanding teacher who is able to take complex concepts and make them exciting and engaging. Further, they will be more equipped than ever before to defend the gospels, the New Testament, and the Christian worldview with sound thinking and a respectful approach. The unbeliever could quite possibly find a like-minded individual in J. Warner Wallace, himself a former atheist and self-proclaimed, "outspoken skeptic." The author fairly represents the opposition's views, respectfully offers counter arguments and gently challenges the skeptic to reconsider the pre-suppositions they may be hindering their investigation of Christianity. This book would also be ideal for church small groups or Sunday School classes [I'm hoping Wallace does a DVD companion!]. Even for those who are not accustomed to consuming apologetic material, this book will be a delight. Due to it's unique approach, accessibility and depth, I believe Cold-Case Christianity is the best book I have read to date on the reliability of the gospels and the NT. Wallace effortlessly weaves the evidence for Christianity into exciting narratives from his cold-case investigations and while working through it, the reader not only learns just how reliable the NT is, but they also learn to how to think. Readers who work through this invaluable resource will look at the gospels and the NT through new eyes and have their confidence in the NT strengthened. 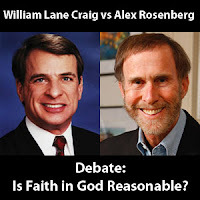 Brian Auten of Apologetics315 has made the audio available from tonight's debate between Dr. William Lane Craig and Alex Rosenberg on the topic, "Is Faith in God Reasonable?" Did you watch or listen to the debate? Share your thoughts in the comments! You can hear Dr. Craig's thoughts here and here.